Our mission is to improve the quality of life for all by providing opportunities of sustainable, affordable housing with sweat equity, cooperative ownership and rental and participatory building with the education in the revival of time proven, sustainable and Natural building techniques. 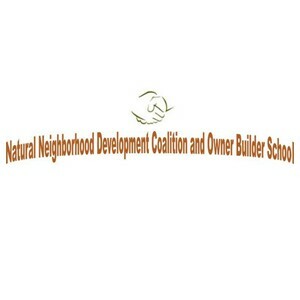 The NNDC is spearheading one of the first campaigns for whole neighborhoods of mixed income and diversity to be designed and eligible for federal grants in Sustainability, Affordable Housing and Education. Building Naturally is the 'Greenest of Green". Naturally Built Neighborhoods use holistic approaches to sustainable development. They are Permaculturally Master Planned communities with appropriately sized custom bungalow homes with varied setbacks interspersed with walkable gardens and sidewalks through food forests responding to natural site variations and preserving trees. No clearing. Only sensitive harvesting of all vegetation, private outdoor spaces integrated into the architecture of the homes. Natural Homes combine comprehensive systems approaches innovatively into the building technology for passive designs featuring the revival of traditional efficient features such as convection chimneys for passive cooling, trombe walls, thermal mass earthen construction and no VOC plasters, paints and finishes. Together these Natural homes, neighborhoods and communities will further help to lessen our impact on our planet while creating a vibrant and enriching place to call home. NNDC strives to offer a development structure that provides a balance of responsible social, economical and environmental solutions to the lack of affordable, healthy housing and the revival of time proven but forgotten exemplary efficient building skills. Building and developing aesthetically pleasing, naturally healthy and all around more accessible homes, whether it be physically or financially - that is the goal of the Natural Builders Coalition. Everyone on our team shares this goal of building affordable healthy homes with the least amount of environmental impact and yet super energy efficient and aesthetically a joy to live in. Our Coalition team is growing every week with new Natural Builders and Design in Austin. Many of the new members have over 25 years of sustainable building and design expertise. Visiting sites, listening to homeowners and building sensitive homes are what we love to do! Keep an eye out for the addition of bios soon, as the website is being completed!